Developer Chronicles: HTML5 is there but not sure if WindowsPhone8 is there yet. HTML5 is there but not sure if WindowsPhone8 is there yet. Since then I have been using mGWT for most of my mobile applications and unlike Mark Zuckerberg, I really believe HTML5 is already there. Last month Sencha released their Facebook application the Fastbook which clearly showed HTML5 was already there but clearly facebook's mobile team was not. 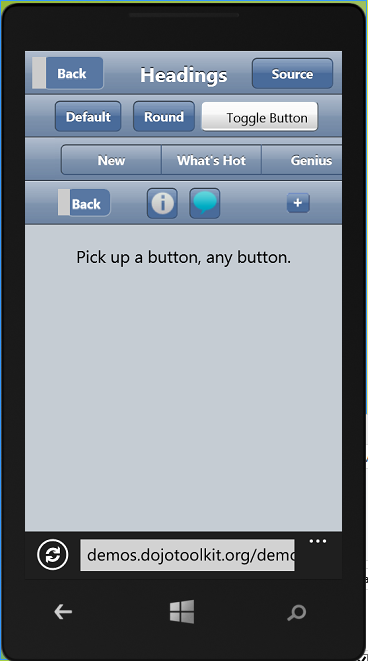 However, when I started to try some apps on WindowsPhone8, even most promising HTML5 frameworks started to fail. 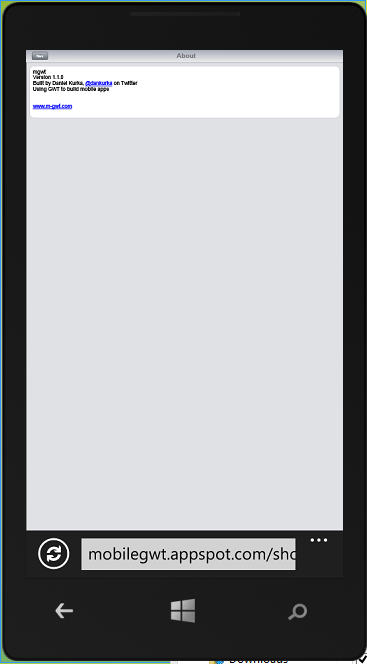 Honestly I don't see much future on WindowsPhone but some clients do. 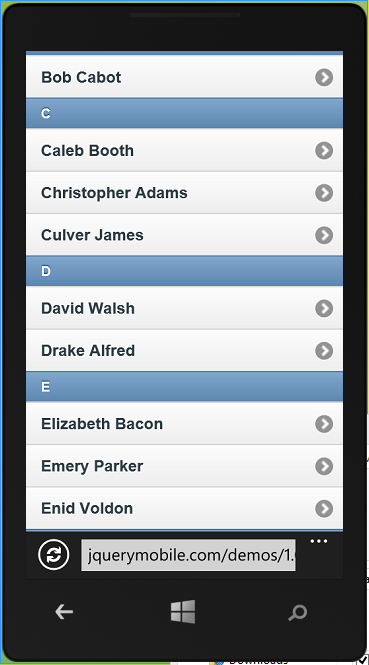 Here are some screenshots from demo applications of the popular HTML5 Frameworks. Sencha: The creators of the great Fastbook, fails fast on WindowsPhone8. The kithenSink application from sencha, sinks fast and is not usable at all. mGWT: My favourite mobile framework for mobile web apps also fail fast on WindowsPhone although gwt usually does a great job with ie. 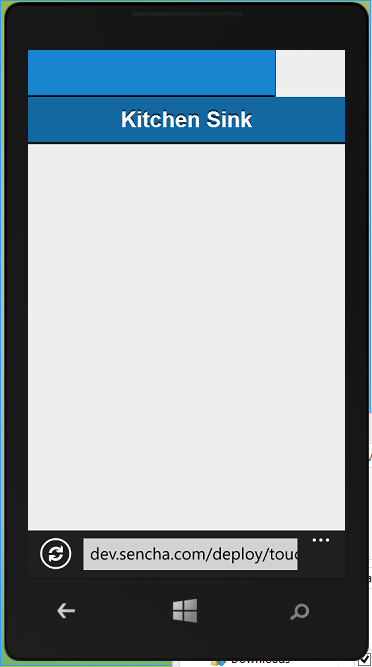 The Showcase app seems to be running but not really functioning. Dojo Mobile: Dojo Mobile Showcase app seems ok at first. However there are major problems with UI (ex buttons). Also scrolling lists may end up pushing the whole list out of the screen which is not a well known experience. 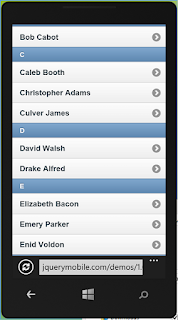 jQuery Mobile: The demo app of jQuery Mobile seems to be the only functioning one above all. The experience is still not as smooth as iOS or Android counterpart but acceptable. Some minor UI failures happen but given WindowsPhone's market share, thats welcome. The widgets are not as shiny as mGWT but again thats ok if WindowsPhone is in the game. But honestly supporting WindowsPhone8? Seriously?!? !